Sunday September 4th LIVE @ The Dirty Grind! It’s Sunday-Funday for all of us here at The Dirty Grind Independent Artist Community! And do we have some awesome stuff in store for you! Join us for the Premiere of our newest Featured Visual Artist Johannes1977 Resident, accompanied by three entire hours of 100% live music! You won’t want to miss this folks! Phemie has been a singer songwriter since 1993 and has loved playing in Second Life since 2007. Along with her RL performing career, she has enjoyed playing to people from all over the world here in this warm and supportive environment of SL music. Her songs are introspective piano based tunes. 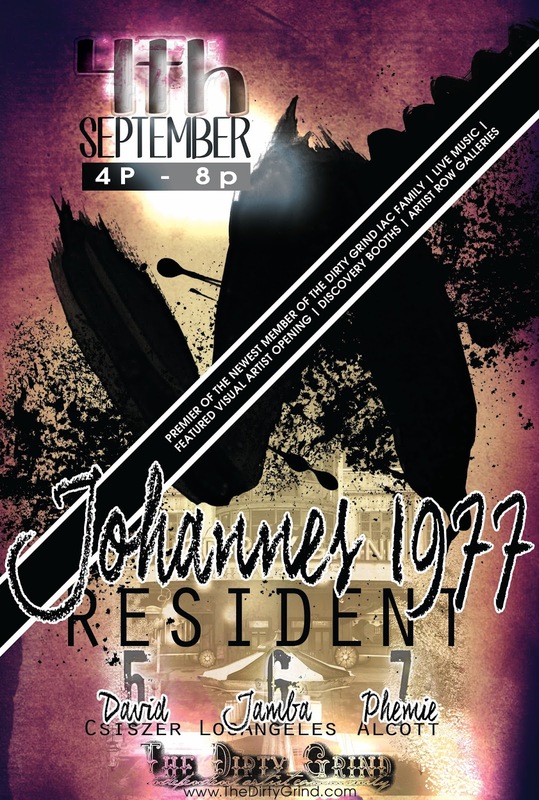 The Dirty Grind Independent Artist Community proudly presents our newest Featured Visual Artist, Johannes1977 Resident. His gallery will be opening this Sunday, the 4th of September with three hours of live music at our main stage and featured gallery artist venue. David Csiszer will be opening the night at 5p, followed by Jamba LosAngeles at 6p and, finally, Phemie Alcott at 7p. Johannes1977 Resident is one of the grids premier artists while concurrently a first life United States Marine Corps Officer, who did two tours in Iraq and one in Afghanistan in support of Operation Enduring Freedom. While deployed in war zones, Johannes1977 Resident used his photography skills and his artistic outlook to capture his view of the wars and scenery. His passion for black and white photography, sepia and vintage tones are a signature glimpse into Johannes1977’s love of by-gone aesthetic. Not only found behind the camera, Johannes1977 is also an instrumental force in supporting other artists with many wildly successful endeavours such as Kultivate Magazine (formally Windlight Magazine) and Windlight Galleries. His community of artists helps raise funds for various non-profits, and he even co-founded Team Diabetes of SL. Johannes1977 has a long resume of accomplishments within SL and it is an honour to announce him as the newest member of The Dirty Grind Independent Artist Community Family of artists, supporters and patrons. ← Friday September 2nd Field Trips!